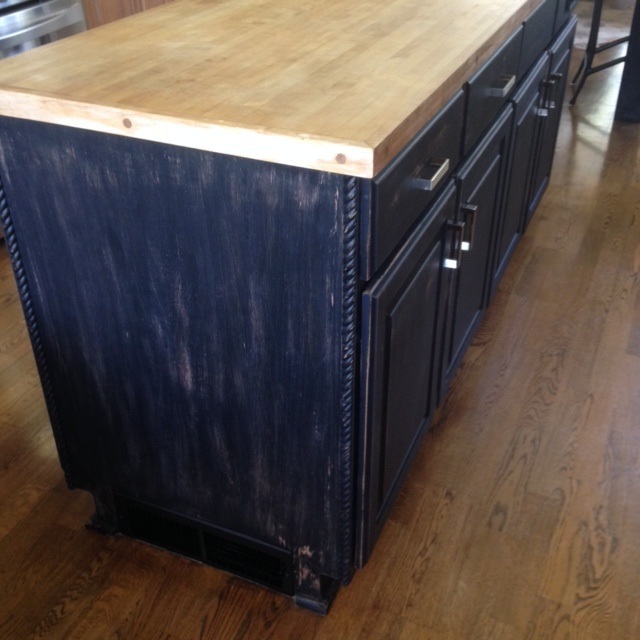 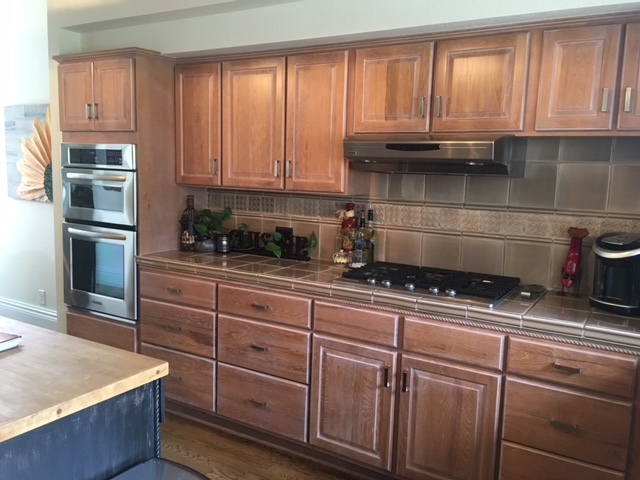 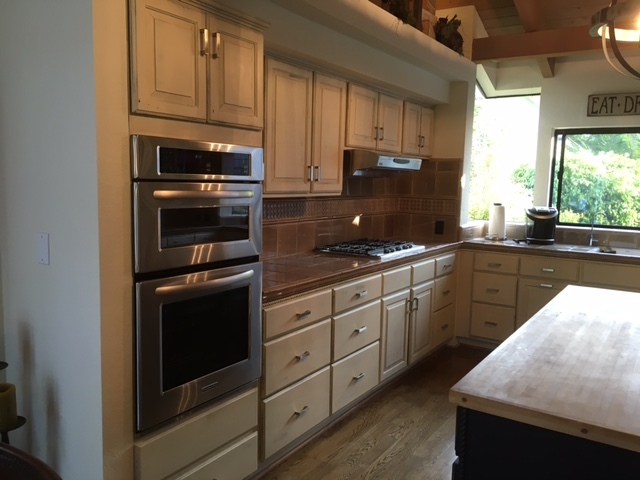 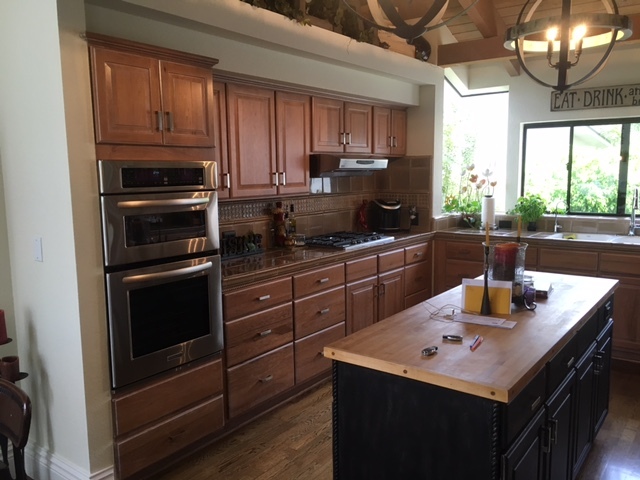 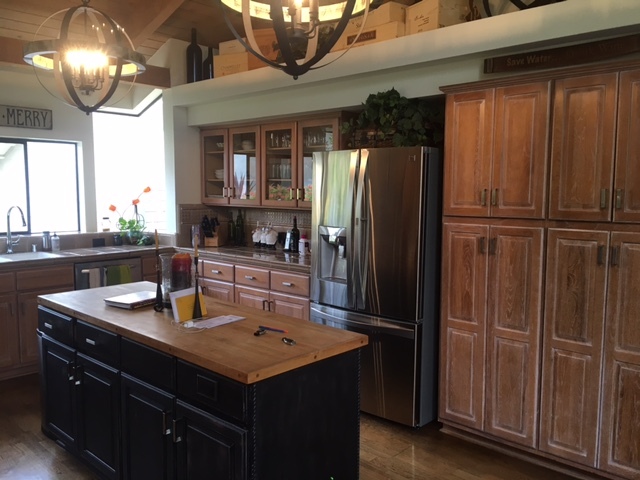 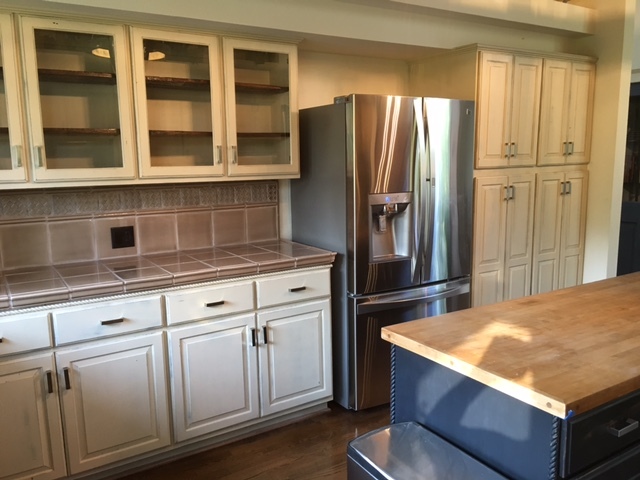 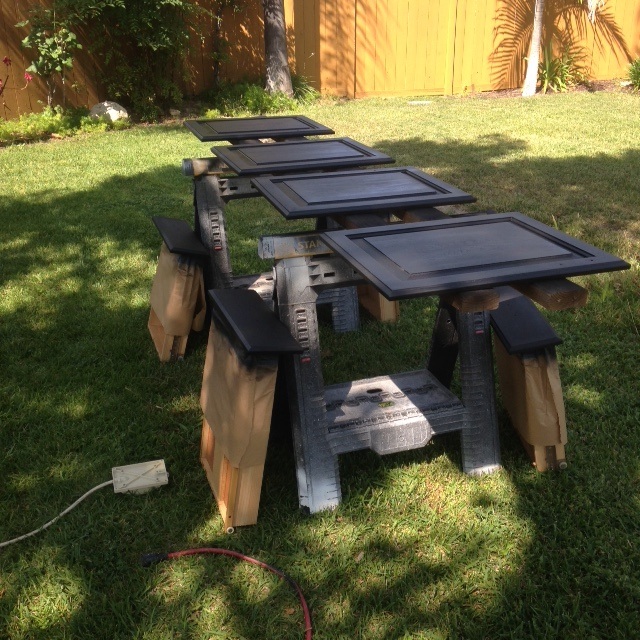 A home in Laguna Niguel has their kitchen island cabinets refinished. 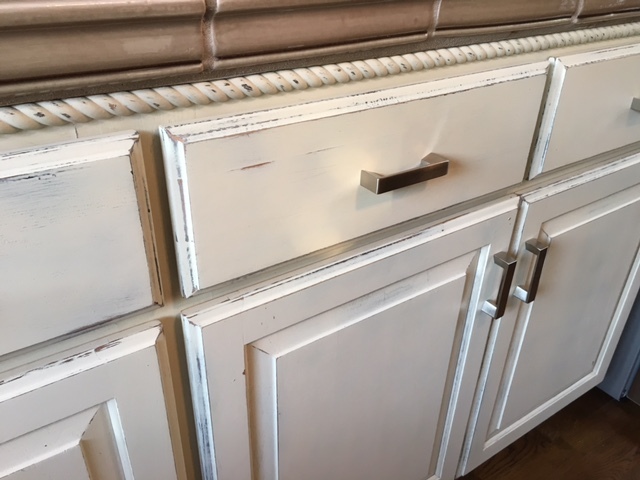 Including new "soft Close" concealed door hinges and drawer guides. 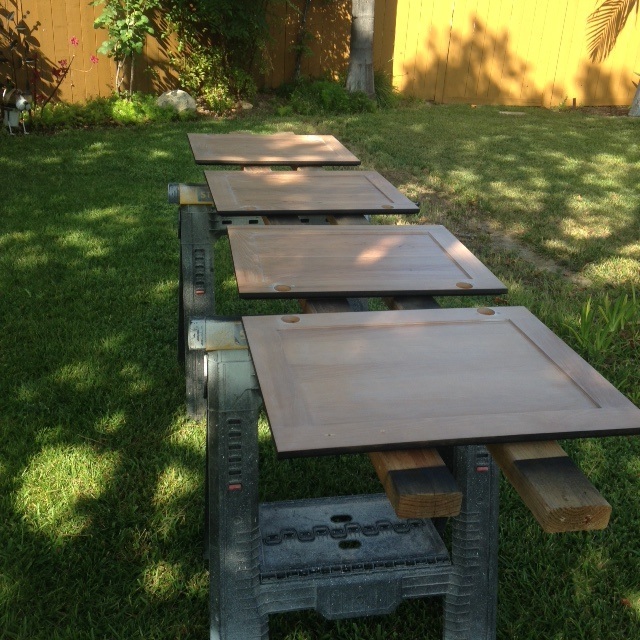 Some of the work was preformed outside to keep the dust/mess down in the home. 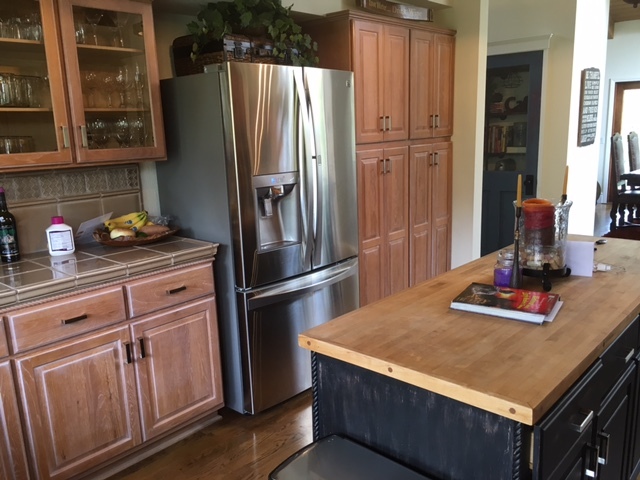 A new but rustic look in the kitchen. 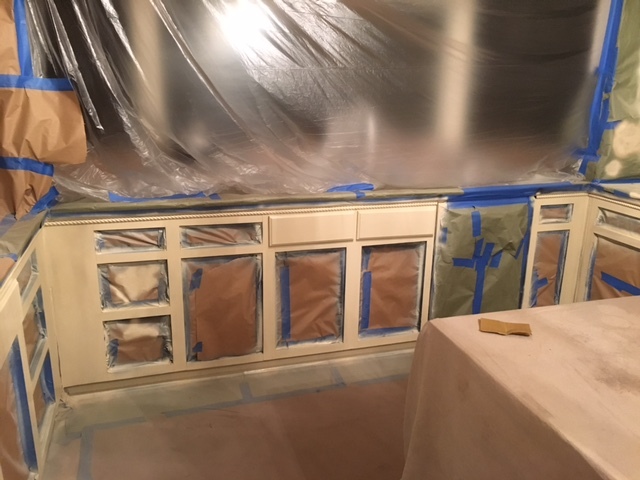 The upper cabinet was to be modified. 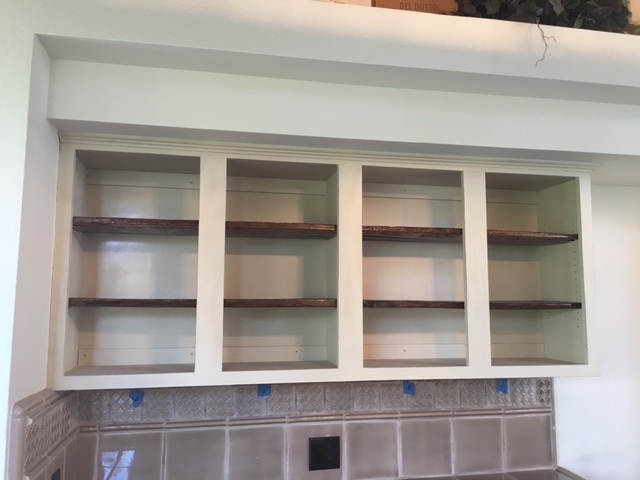 The shelves are built-in and part of the cabinet construction. 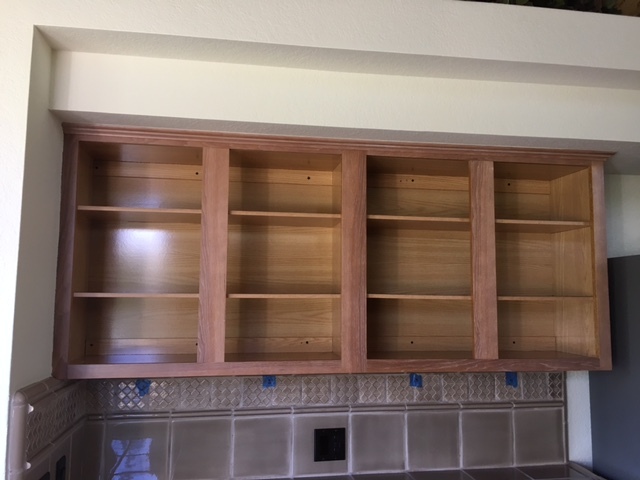 The shelves were cut out and removed. 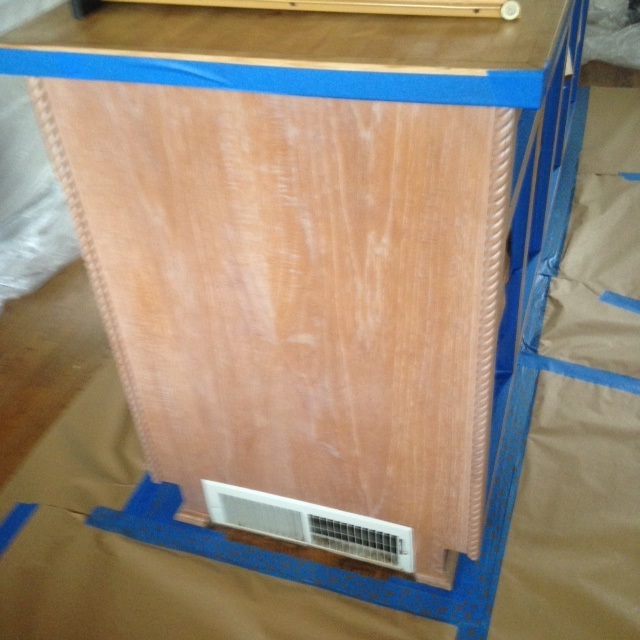 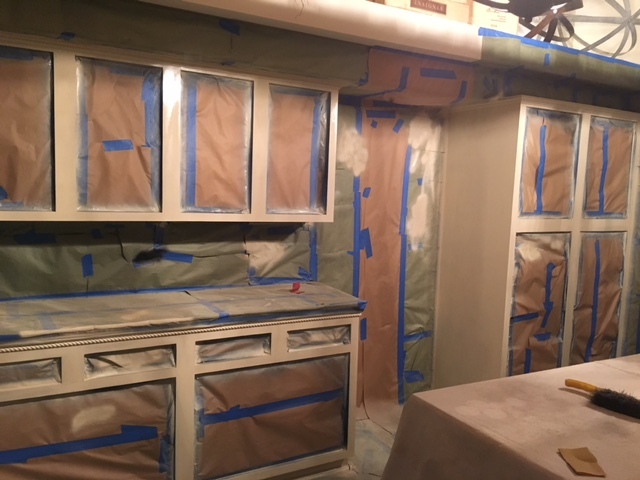 the sides of the cabinet walls were repaired and then drilled to provide the ability to have adjustable shelves. 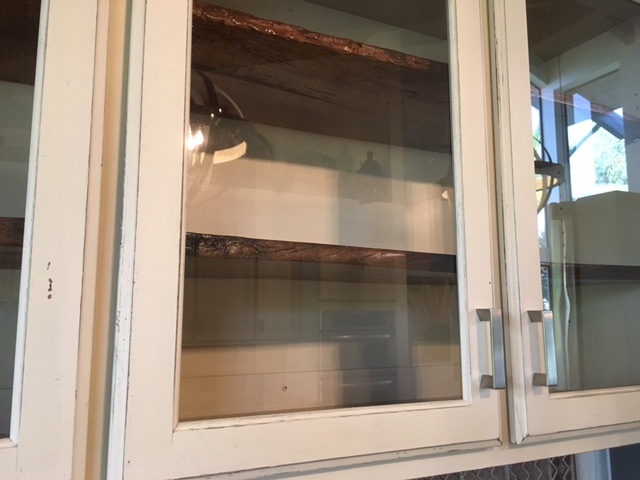 The new shelves are actually old reclaimed wood boards cleaned up and sealed. 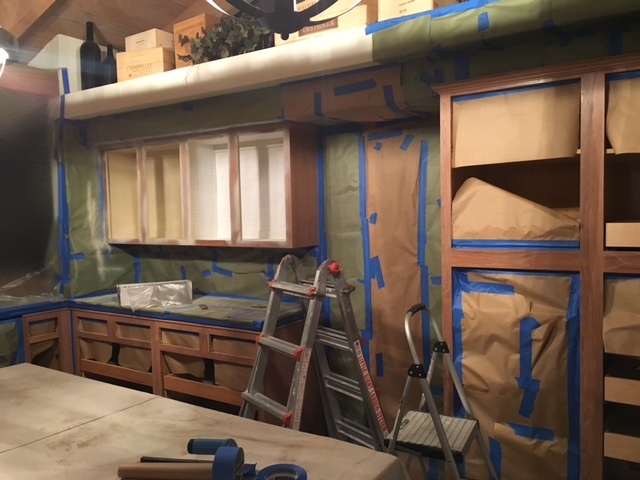 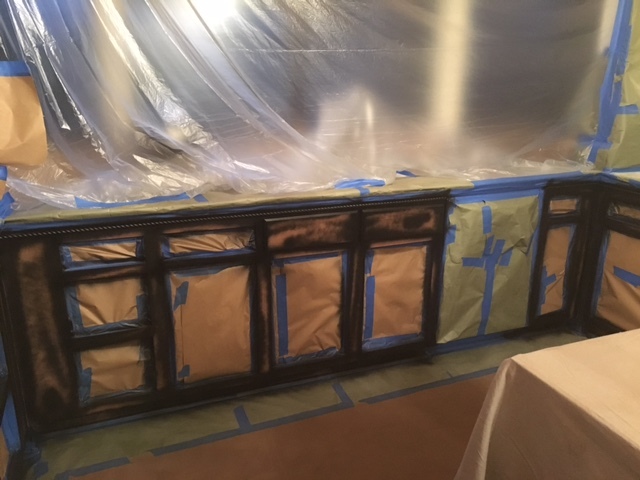 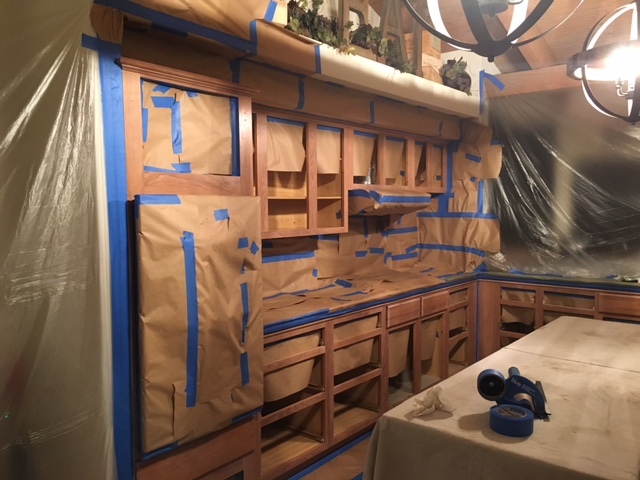 The kitchen cabinets get A LOT of masking and preparation. 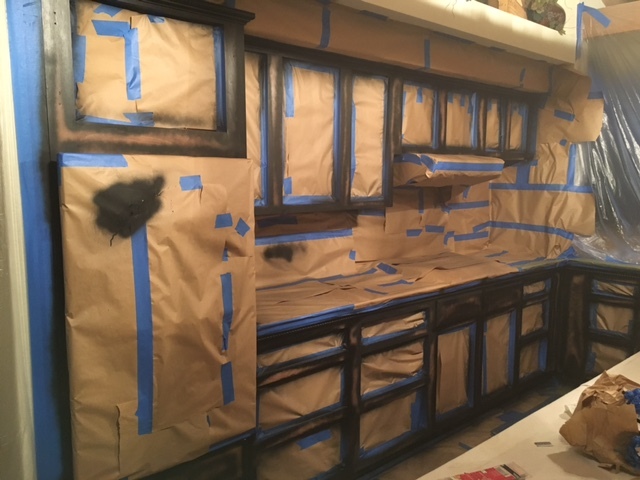 Black undercoat goes on first to help with "depth" and "visual texture"
The final coats (off white) of paint get applied. 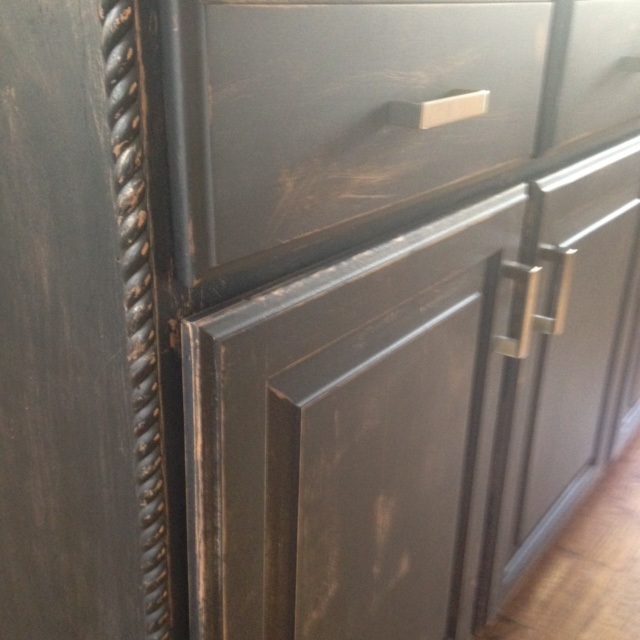 Then sanding the cabinets to the desired visual texture. 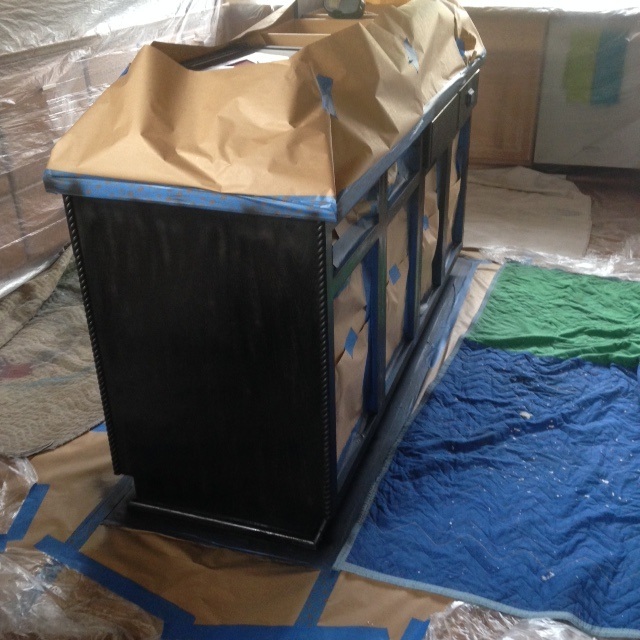 After the sanding is complete a couple lacquer coats are added to provide protection to the finish and consistency to the sheen. 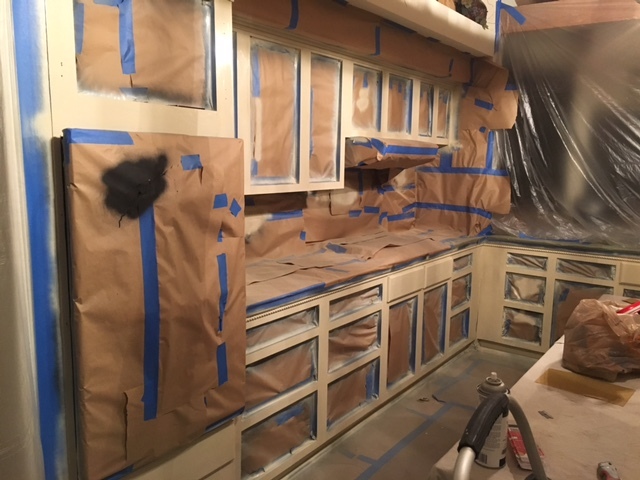 Doors and drawers all get re-installed and adjusted. 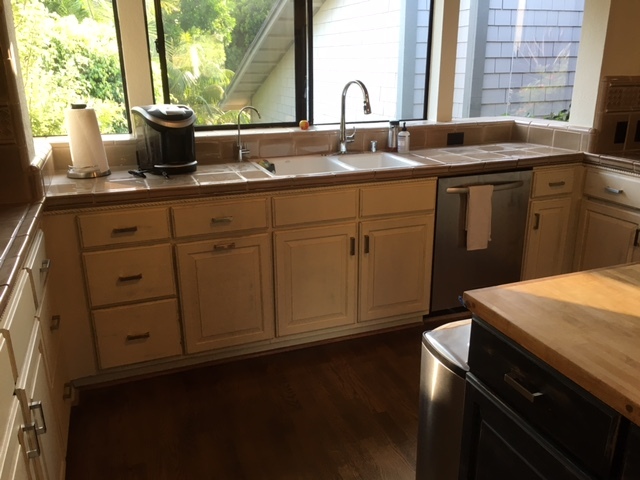 major cleaning gets done.